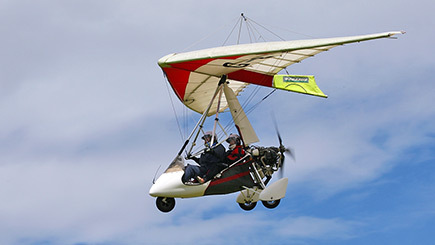 The Pegasus Quantum 912 Microlight is known as the 'motorcycle of the sky' due to its superb manoeuvrability and open cockpit view. Find out just what it's like to cut a path through the skies on this lightweight aircraft, with the guidance of an instructor who has trained more students to attain the Private Pilot Licence than any other in the UK. After a safety briefing, climb into the microlight to begin the one-to-one session. Experience fast cruising and high climb rates while benefitting from simple and forgiving handling. 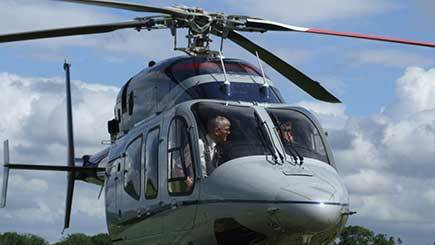 From above, the views of the airfield and surrounding countryside are a jaw-dropping sight to behold. Friends and family can watch from the ground as the soaring spectacle takes place. Please allow up to one hour at the venue, including your 10 minute flight.